"Making your website rank well in search engines can seem like a daunting task. Now more than ever, people look to Google to find out information, and it’s important for your music website to work in search engines. Not sure where to begin? Even starting with a few small things can help with the search engine optimization (also called SEO) for your website. Let’s look at a few quick ways to update the text on your website to help it rank better in search results! Writing a descriptive page title tells Google what your website’s pages are about, and improves the chances of matching a search query. Let's look at Bandzoogle members Gladstone Ave, a new band just starting out. They have a generic band name and no custom Page title yet. To do this with your Bandzoogle music website, click the Pages tab and choose Edit Title and Settings. Look down the page to the 'Meta tags for this page' area, and click Custom. This will open up a Page Title field and that’s where you’ll write out your text. Try to keep it under 55 characters so that it will show up in Google without being cut off. Similarly in the Edit Title and Settings area, you'll see a spot to add a custom meta description. This tells the search engine what that specific page is about in more detail, and helps match the page to search results. You can set a page description in your Pages tab, again by clicking Edit Title and Settings, then looking for Meta tags for this page: custom: Page Description. By default this is set to 'Automatically generated from your page content' which can work well. But it's nice to have a bit more control, especially for your pages that don't have much text, or if the text that you do have is not very descriptive or keyword friendly. For your Home page, describe your band in detail. For your Music page, you'll talk more about your sound or your latest CD. With your Events page's description, you might mention that you play at a certain venue regularly, or an important upcoming show. Write these details in paragraph form, using around 155 characters. Another reason to add a great page description? Social sharing sites like Facebook tend to use a page's description when that page is shared. Remember, Google is a machine, not a human, and can only match what people type into the search engine to your website if you provide the words. So adding a short paragraph to your Homepage that includes words that describe yourself and your music (called keywords) will help your website come up more easily in search. To do this, write your bio and make sure to include your band name, your genre, your location - things that you think people would type into Google to find you - and put it right on your Homepage (need help writing this? Here are a few tips on creating a perfect pitch). Search engines are also very smart, using complex algorithms to determine what is relevant on your pages, and can penalize you for stuffing many keywords that make no sense in context onto your page. So keep it simple, relevant, and human-readable. Updates complete? Submit to Google! 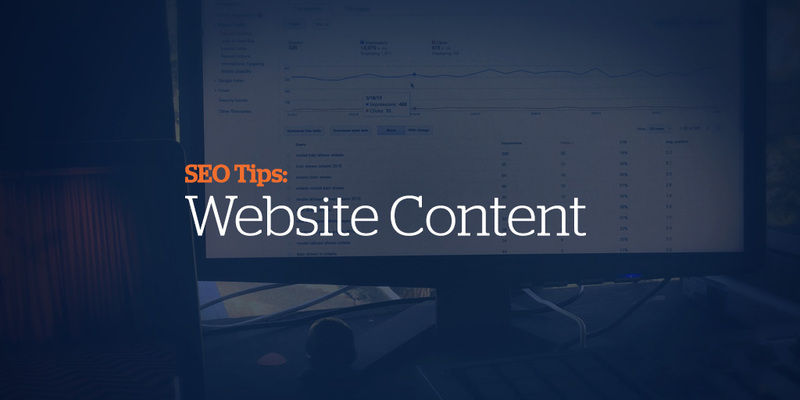 I hope that these tips give you a bit of insight into how to make your website more search engine friendly! Have fun adding or updating your page title, page description, and homepage text. Create a beautiful, professional website in minutes that has all the features you need, including automatic SEO optimization. Try Bandzoogle free now (IOTM members get 15% off)!"